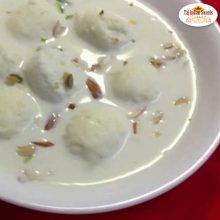 Chena Pais / Rasmalai is mainly a Bengali dessert or cuisine that is made of soft paneer balls that are immersed in chilled creamy, flavored milk. Similar to Rasgullas, Rasmalai is also made from homemade cheese known as “paneer”. 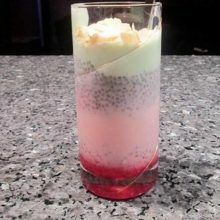 Instead of being soaked in sugar syrup like Rasgullas, Best Chena Pais / Rasmalai in Australia we offer at Taj is immersed in sweet, flavored milk. 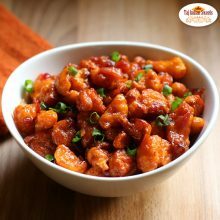 Chilli Paneer is the one of the most popular appetizer recipes, which act both as a starter and also a meal. Chilli cheese in Harris park at Taj Indian sweets and restaurant, Australia is baked with love from fresh paneer (soft cheese), bell peppers, green chilies and other spices to give it a nice yummy taste. 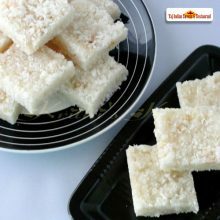 The paneer cubes are coated with batter and then deep fried. These fried paneer cubes are stir fried with vegetables like capsicum, and onions along with a Chinese sauces. 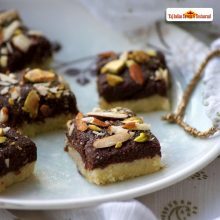 Chocolate Burfi is one of the exotic Indian sweets which is made up of khoya, sugar, milk and coconut powder. 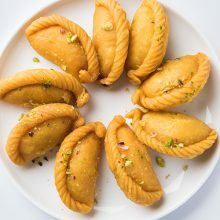 Diwali is around the corner, make it special with our delicious Indian sweets in Australia at Taj Indian sweets and Restaurant in Harris Park. 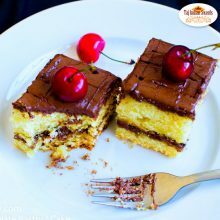 Chocolate Burfi has two layers, the bottom layer is plain khoya barfi while the top layer is cocoa flavored chocolate burfi. 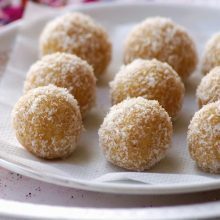 This delicious sweet in Australia is cooked with condensed milk, chocolate, sugar, and crushed dry fruits. 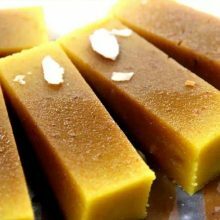 A special Indian sweet in Australia for festivals and parties and a favorite among children for its delectable chocolate flavor. 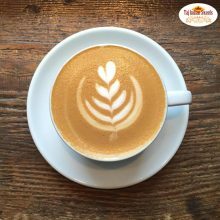 Coffee is a drink that is prepared from the seeds of roasted coffee beans, berries from different Coffee species. Coffee is known to be as the biggest source of antioxidants in the diet. Coffee in Harris Park at Taj Indian sweets and restaurant, Australia is presented in a variety of ways like espresso, French press, and cafe latte. We offer darkly colored, slightly acidic, bitter and having stimulating effect in humans, primarily due to its caffeine content. Curry is a dish composed of different vegetables, or just one vegetable, in a sauce containing hot spices. 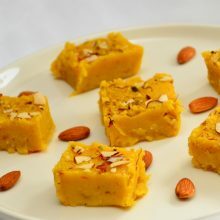 It is usually eaten with rice or with bread and is one of the main dishes of India. Curry of the day in Harris park that we serve at Taj Indian sweets and restaurant, Australia is a special cuisine that is offered in different variety each day, Taj is very well known for its specialties in curries that are served in traditional Indian aura at any Indian restaurant in Sydney, Australia. 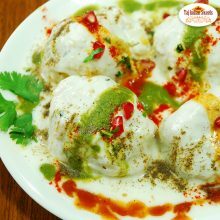 Best Dahi Bhale Is basically a north Indian delicacy, it is a perfect side dish that can be easily prepared using some easily available ingredients and is usually served in different functions. This curd dish ‘Dahi Bhale’ in Australia is considered nice summer dish which is easy to digest and is served at Taj Indian sweets and restaurant, Australia which offers delectable amalgamation of spicy green chutney and sweet tamarind chutney, served with some freshly chopped coriander and green chilies. 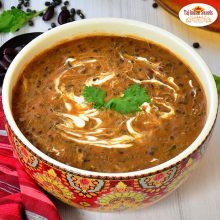 Dal makhani is a popular and loved dish from the state of Punjab of the Indian subcontinent. 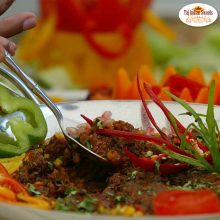 Indian vegetarian dish that has black urad beans simmered in creamy gravy sauteed with tomatoes-onions and mild spices. We serve Dal Makhani in Harris Park at Taj, that is considered as a delicacy from Punjab in India. Not in a good mood or having a bad day, then you know what can cheer you up quickly. Yes, a small piece of pie or a cake holds the strength to make everything to normal and happy. Don’t you agree? There’s nothing more good than biting into a what we offer a light, moist Eggless Pastry with a tender crumb in your mouth. Pav Bhaji is truly a Bombay concoction. It consists of a vegetable preparation of potatoes, carrots, beans all pre- cooked and then refried on a large ‘tava’ or griddle. A load of butter goes into it while frying. 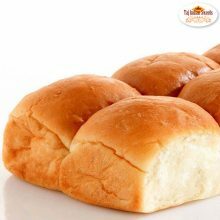 Cheese Pav Bhaji in Harris park, Australia is served with two leaves of buttered fried bread at your own Best Indian Food joint in Australia that is Taj Indian sweets and Restaurant. 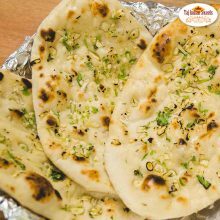 Garlic Naan is a heart-throb of million Indian cuisine lovers! The garlic naan is light, soft and the garlic enhances the flavor so much.. 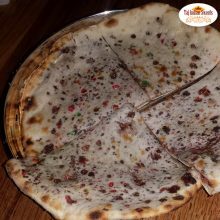 It an aromatic and strongly flavored naan. Garlic naan recipe or garlic butter naan recipe prepared on tawa and stove top without yeast. 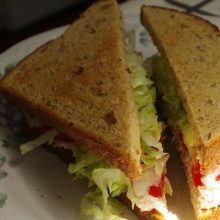 It is made with all purpose flour, yoghurt and garlic paste. The flour is kneaded with curd and garlic. It is sure to be loved by people of all age groups. Dosa which seems similar to a pancake from the Indian subcontinent, it is made from a fermented batter of rice and pulses. It resembles crepe in appearance. Its main constituents are rice and black gram. They are served hot along with sambar, a stuffing of potatoes, and chutney. 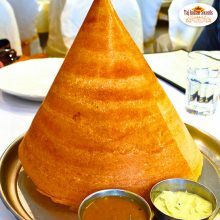 Served in different varieties, the one which is mostly in demand is Ghee roast masala dosa in Harris Park, Australia. Gobi manchurian is basically an Indo Chinese fried cauliflower food item popular in India. 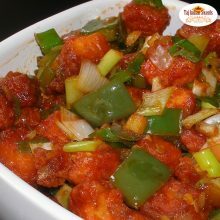 We serve Gobi Manchurian in Harris Park, Australia at Taj that is the outcome of the adaptation of cooking of Chinese and seasoning techniques to suit our Indian tastes. It can taste from mild spicy to hot and fiery based on the cuisine and personal preference. Gobi paratha (cauliflower paratha), a paratha having delicious stuffing of gobhi (cauliflower) which is a popular breakfast food in North India and especially in Punjab. Gobi Paratha is enjoyed with yogurt, pickle and many times followed by tea. One of my favourite ways of eating Gobi Paratha is with freshly prepared Green Coriander Chutney, which goes along very well with these Paranthas and is digestive too.